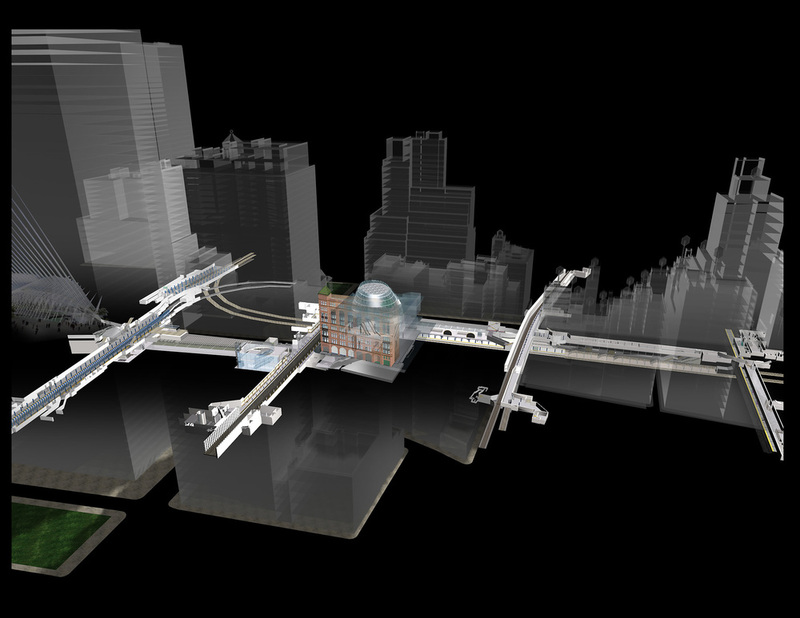 The Fulton Street Transit Center sits prominently at the crossroads of Broadway, Fulton and John Streets in lower Manhattan, where several subway lines meet along Fulton Street. 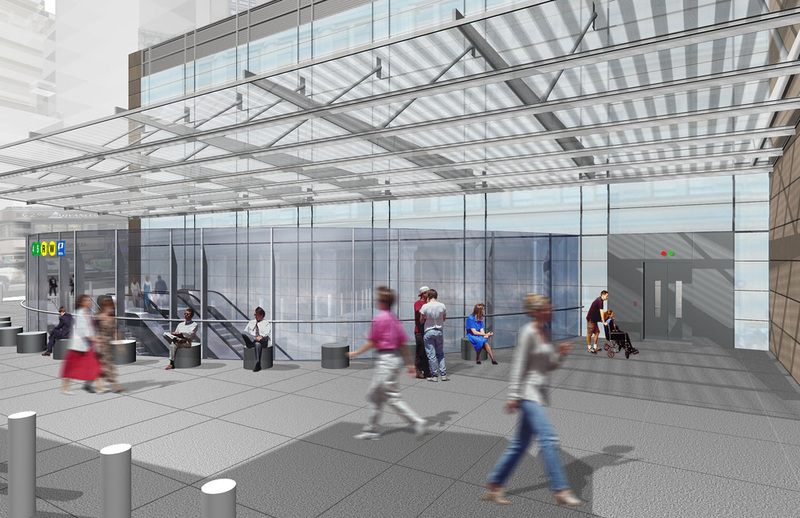 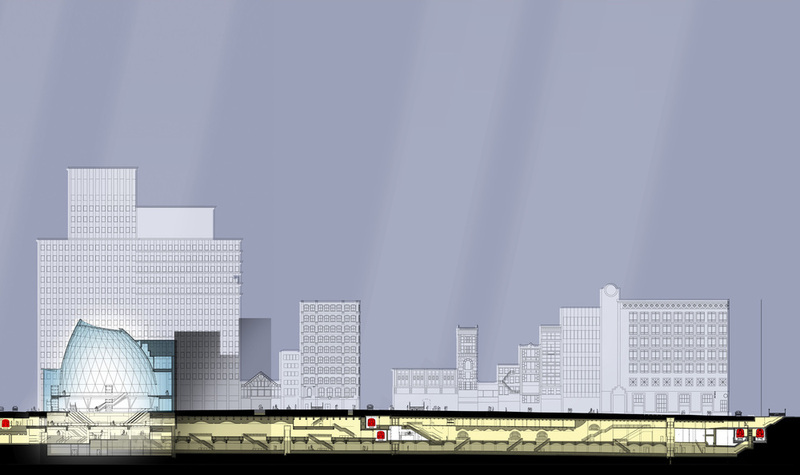 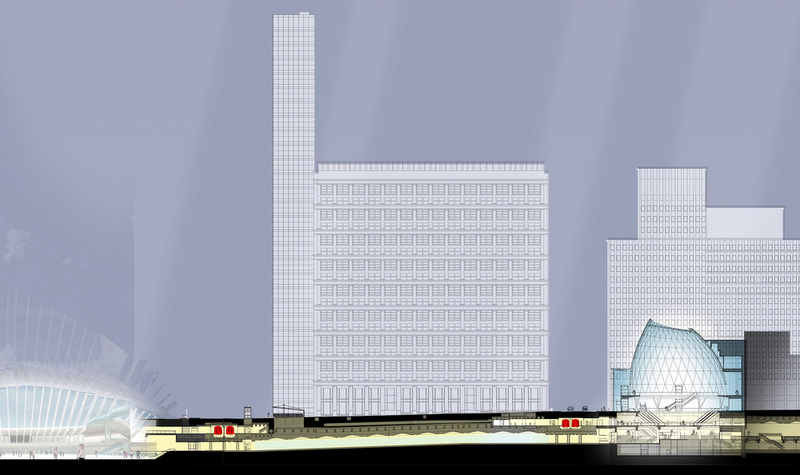 The complex consists of a new Transit Center building, circulation improvements, better wayfinding and visibility; the ability to make transfers to 14 subway lines, and links to the World Trade Center site and the new PATH station. 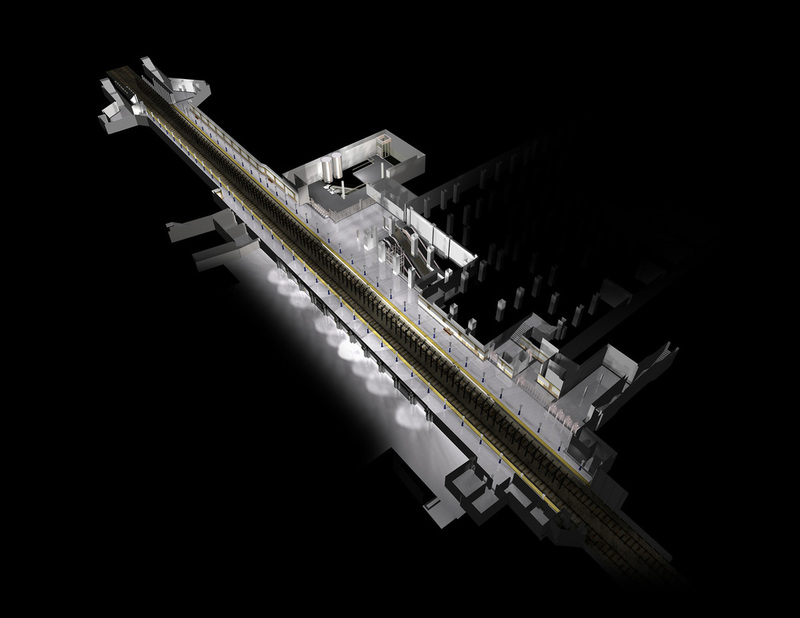 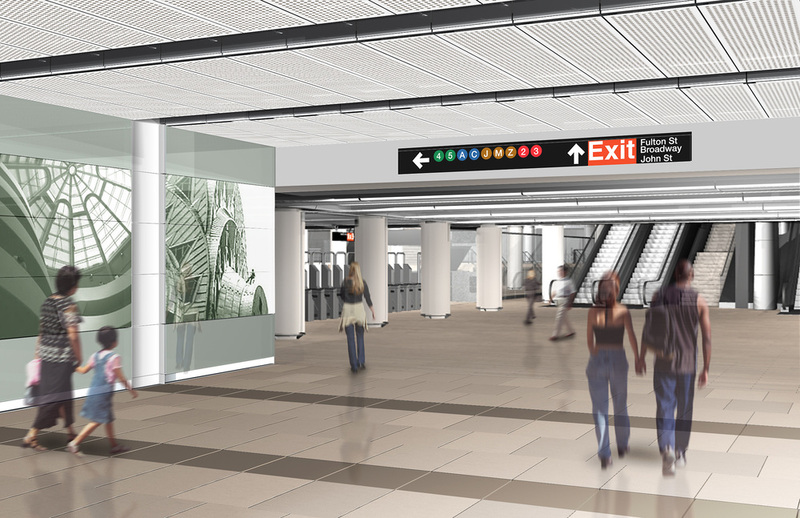 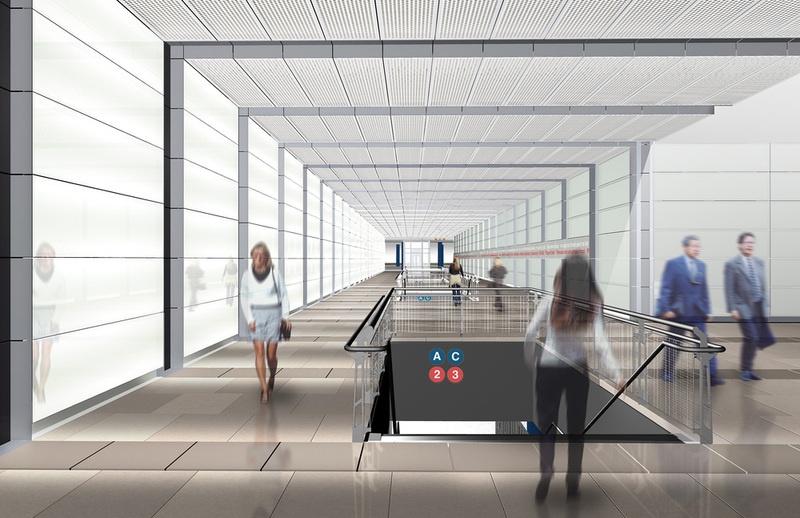 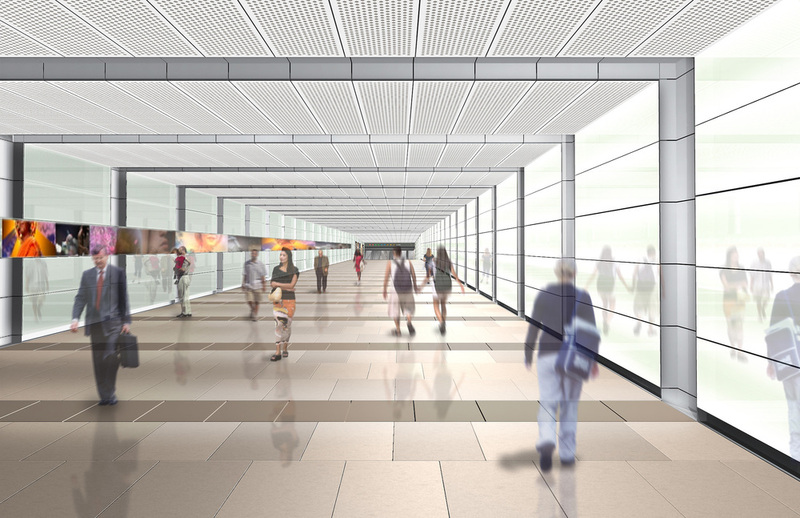 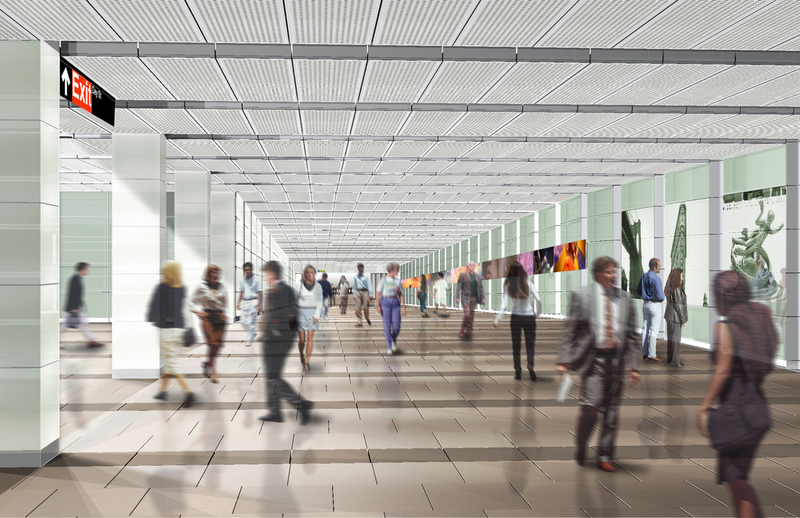 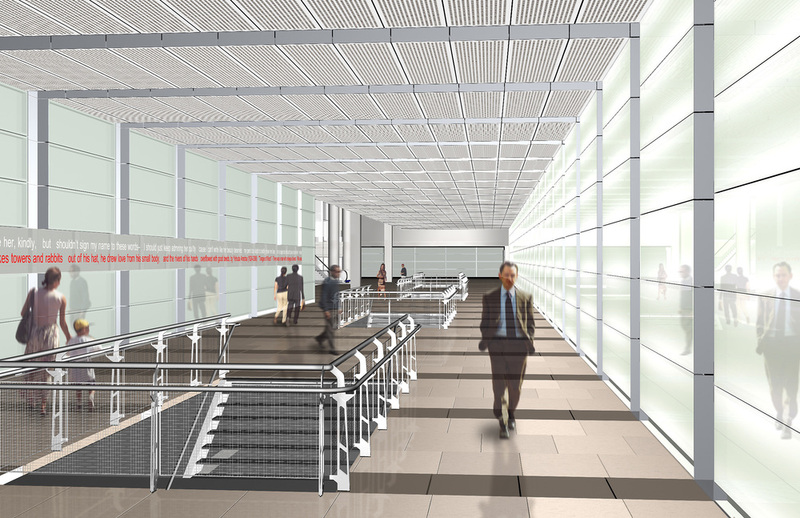 An underground concourse is a major pedestrian link among all of the stations and the Transit Center; it also allows pedestrians to avoid the busy streets above. 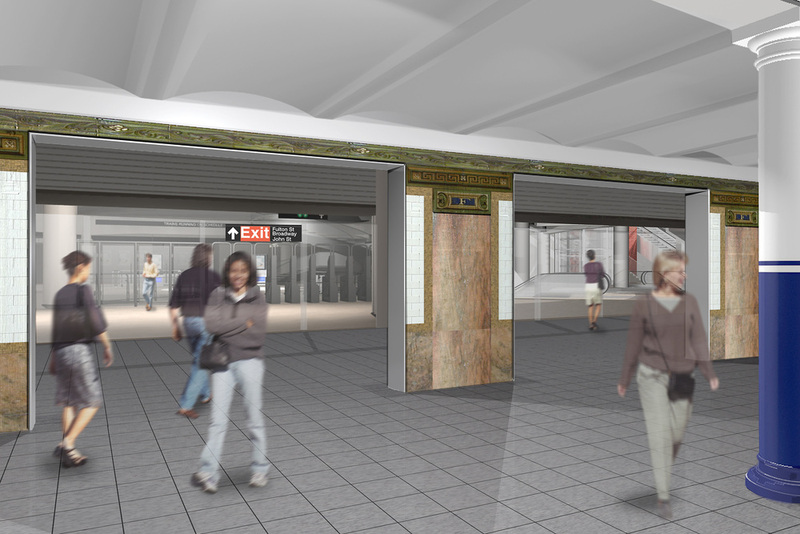 The historic 4/5 Fulton Street Station and Corbin Building were be preserved and restored with targeted improvements to their transit functions. 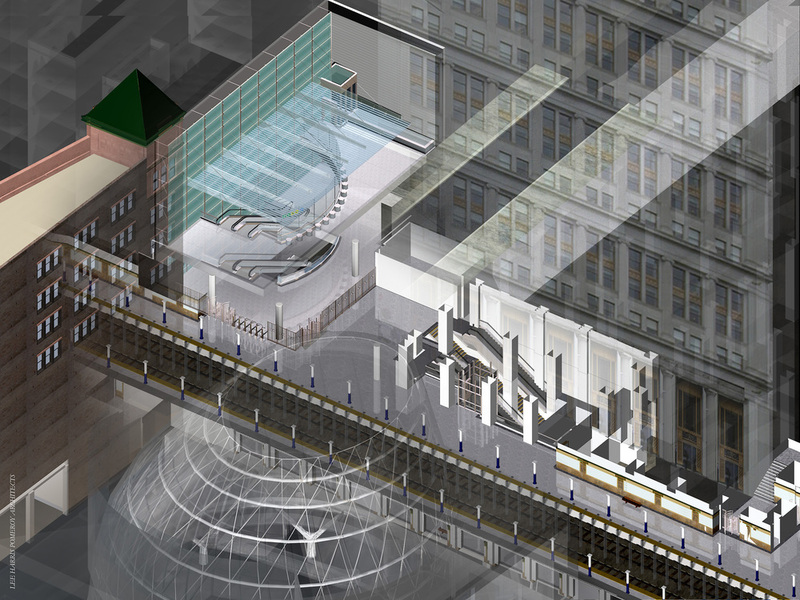 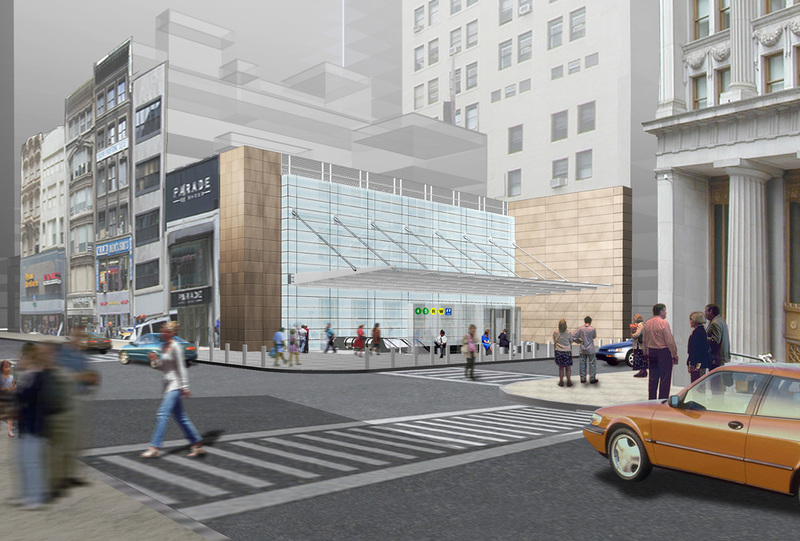 LHPA provided preliminary design services for the new pedestrian concourses at Dey Street and Fulton Street; a new Dey Street/Broadway entry pavilion, an extensive rehabilitation and restoration of three subway stations and entrances; and the historic Corbin Building. 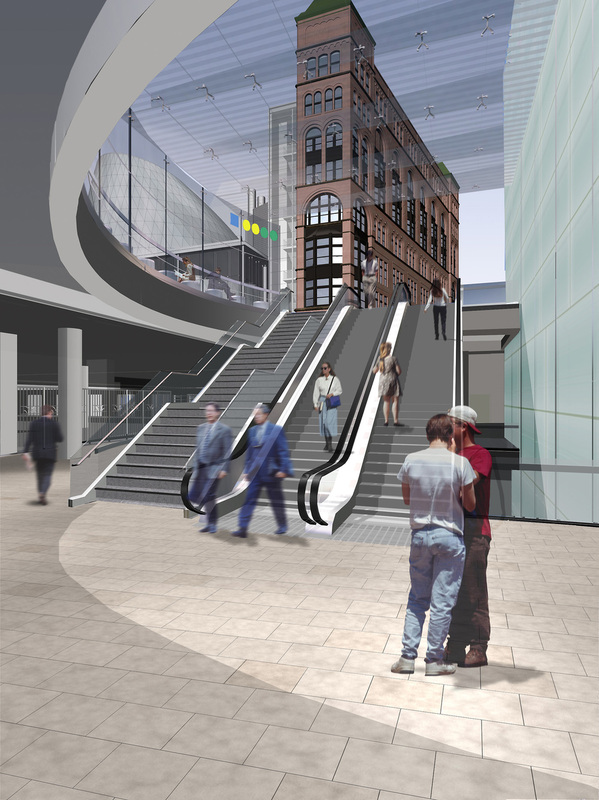 LHPA’s work was done in collaboration with Arup and Nicholas Grimshaw Architects.